Nuts are a good source of protein, healthy fats and fiber. The dietary guidelines for Americans recommend you vary your sources of protein to include more nuts to increase your intake of these nutrients. Marcona Almonds, sometimes referred to as the "Queen of Almonds," have a softer texture and sweeter flavor than regular almonds, but they have a similar nutritional value. Calories vary slightly between the Marcona almond and the regular almond. A 1-ounce serving of Marcona almonds contains 180 calories, while a 1-ounce serving of regular almonds contains 163 calories. Nuts are a concentrated source of calories, so intake should be controlled to help you balance your calorie intake to prevent weight gain. Most of the calories in almonds come from their fat content. However, most of the fat is in the form of the heart-healthy monounsaturated fat. 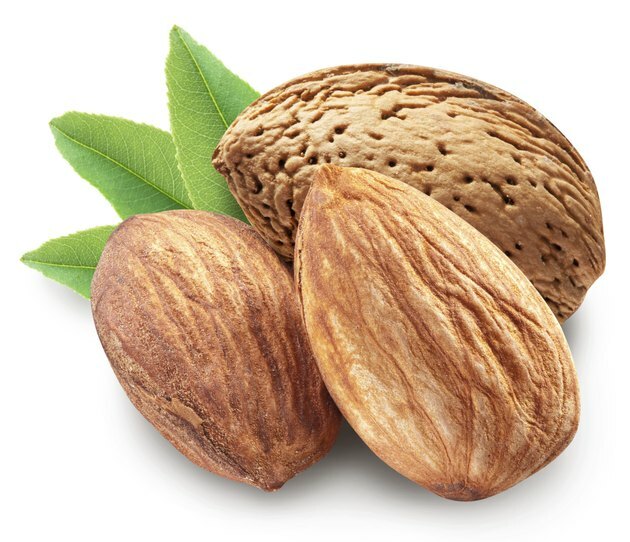 A 1-ounce serving of Marcona almonds contains 17 grams of total fat and 1.5 g of saturated fat, and the same serving of a regular almonds contains 18.5 g of total fat, 1.7 g of saturated fat, 8.7 g of monounsaturated fat and 3.4 g of polyunsaturated fats. The dietary guidelines advise that most of your fat choices should be monounsaturated and polyunsaturated. A 1-ounce serving of Marcona almonds contains 5 g of carbohydrates and 3 g of fiber, and a serving of regular almonds contain 6 g of carbohydrates and 3.5 g of fiber. Fiber is a type of carbohydrate your body cannot digest. Including more fiber in your diet can curb your appetite for weight control, normalize bowel movements and lower blood cholesterol levels. A healthy diet should include 21 to 38 g of fiber a day. A 1-ounce serving of both the Marcona and regular almond contains 6 g of protein. If you eat a healthy, balanced diet, you should be able to adequately meet your daily protein needs. Women need about 46 g of protein a day; men need about 56 g of protein a day. A serving of Marcona almonds meets 8 percent of both your daily value of iron and calcium, while a serving of regular almonds meets 8 percent of your daily value of calcium and 5 percent of your daily value of iron. Adequate intakes of calcium can keep your bones healthy and strong. Iron is necessary for transporting oxygen throughout your body. In addition, a serving of regular almonds meets 50 percent of your daily value of vitamin E, an important antioxidant that protects your cells from free radical damage.